Spike Lee’s long-awaited first-time nomination for Best Director is a welcome development, as is the nomination of his film, “BlacKkKlansman,” for Best Picture. In 2015 and 2016, we in the Urban League Movement joined a movement against the Academy of Motion Picture Arts and Sciences embodied in the hashtag, “#OscarsSoWhite. At the time, the voting membership of the Academy was reported to be 94% white and 77% male. 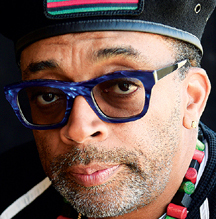 Whether a direct result of these changes or not, Spike Lee’s long-awaited first-time nomination for Best Director is a welcome development, as is the nomination of his film, “BlacKkKlansman,” for Best Picture. Lee previously was nominated for Best Screenplay for “Do The Right Thing,” and “4 Little Girls” received a Best Documentary Feature nomination, but this is the first time in his 30-year career he’s been acknowledged for his main contribution to American culture as a director of provocative and artistic feature films. It can be argued that many of the 30 films Lee has directed are as deserving of an Oscar as “BlacKkKlansman,” and many of them are destined to occupy their places in the canon of American cinema. But even though “BlacKkKlansman” is set in the early 1970s it is very much a film of our time – perhaps the film of our time. David Duke, the main villain of the story, is still very much a force in American politics today. He is shown to use the resurrected phrase “America First!” popularized during the 2016 presidential campaign, and speaks of making America “great again.” The film’s central question of whether social change must be effected within the system or outside it resonates today.